We treat our customers like neighbors, because they are! Our crew is friendly, courteous and on time. Saturday appointments must be booked in advance. Cancellations on Saturday carry an $80 cancellation fee. Calling is Easy. Leave the Hard Part to Junk Boss. No two jobs are the same in junk removal and we strive to meet our customers’ unique needs. All estimates include: labor, gas, and disposal (dump / donate / recycle). We make it easy to get a quote over the phone. All prices are finalized with an on location bid to make sure our customers get the best value. 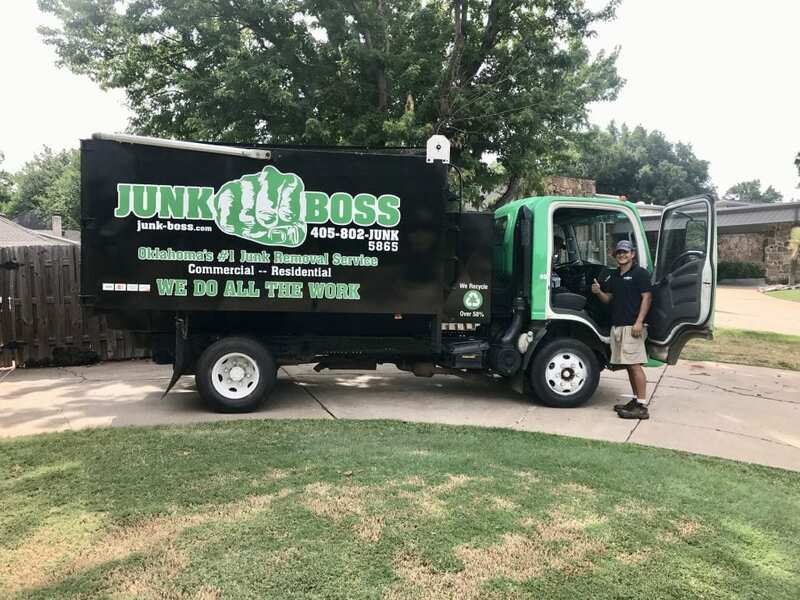 As a locally owned and operated junk removal company in Oklahoma, we truly treat our customers as our neighbors. We provide exceptional and prompt service with a professional team of OKC junk haulers. We will always arrive on time with clean equipment and ready to work! Call us today to get a quote.